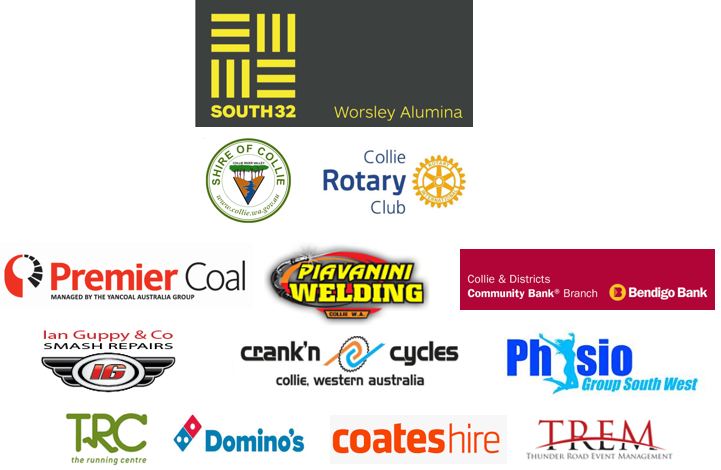 The Collie Adventure Race would not be possible without the continued support of it's sponsors. If you are interested in supporting the Collie Adventure Race then please contact the Collie Rotary Club and get behind our community. South32 Worsley Alumina is an integrated bauxite miner and alumina producer located in the south west of Western Australia. Bauxite mining takes place near Boddington, 130km south-east of Perth. The bauxite is transported 51km by overland conveyor to our alumina refinery, 15km north-west of Collie, where the red rock is turned into white alumina powder using the Bayer Process. The alumina is then railed 55km to the Bunbury Port for export to aluminium smelters worldwide. We are a joint venture between South32 (86 per cent), Japan Alumina Associates (Australia) Pty Ltd (10 per cent) and Sojitz Alumina Pty Ltd (4 per cent). South32 is a globally diversified metals and mining company with high quality operations in Australia, Southern Africa and South America. Our purpose is to make a difference by developing natural resources, improving people’s lives now and for generations to come. We are trusted by our owners and partners to realise the potential of their resources. We have a simple strategy to maximise the potential of our operations and shareholder returns by optimising our existing operations, unlocking their potential and identifying new opportunities to compete for capital. Premier Coal is Western Australia's largest coal producer, mining about 4 million tonnes per year. It is managed by Yancoal Australia on behalf of its majority shareholder Yanzhou Coal Mining Company. Premier has a proud history of mining in WA's Collie Coal Basin, in the South West region, stretching back more than 65 years and has reserves to deliver 4 million tonnes per annum for another 20-30 years. A modern open cut operation, Premier has a 240-tonne truck and large shovel fleet along with state-of-the-art crushing, blending, and train and truck loading facilities. Premier’s coal has outstanding combustion characteristics as well as low ash and sulphur making it suitable for many applications including steam raising (power generation), cement making, and direct heat reduction. Premier’s coal is currently used to generate the bulk of Western Australia's power supplies. It is also used in alumina and synthetic rutile production. Located near Collie in the South West of the State, Premier is proud to be part of the local community and economy. It employs about 400 people, spends tens of millions of dollars annually with local businesses, and is proud to support an array of community groups and projects. 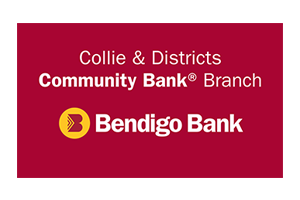 A group of interested community members was briefed by Bendigo Bank on 9 October 2000 in relation to the proposal to establish Collie Community Bank® Branch and a committee was formed to evaluate the proposal. The results of the feasibility study were presented to the committee at a meeting held on 2 April 2001 and it was unanimously voted to proceed towards the establishment of Collie Community Bank® Branch. The branch was officially opened for business on 5 October 2001.